Don't let negligence decide your fate. When you visit the dentist, whether for a simple cleaning or a complex procedure, you expect your doctor to be thorough, careful, gentle, and safe. If a dental appointment has injured you or left you in significant pain or other dysfunctions, a negligent dentist may be at fault. 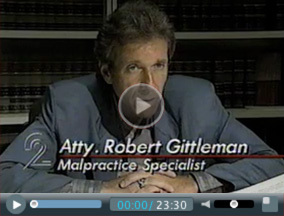 For more than three decades, Robert Gittleman has litigated malpractice cases involving dental diseases and injuries. Mr. Gittleman is one of the most renowned dental malpractice lawyers in the country, having been involved in cases from Michigan to Florida, Alaska, the Virgin Islands, New York, Hawaii, and most states in-between. Mr. Gittleman has also been a featured lecturer from California to New York. Mr. Gittleman has represented his clients in the US Supreme Court, as well as multiple federal, state appellate, and superior state courts. Dental malpractice cases can be complicated and confusing, but Mr. Gittleman maintains recognition in more than 35 states as one of the best dental malpractice lawyers. Referring attorneys from all over the country, including; Michigan, Florida, California, and Nevada, turn to Robert Gittleman Law Firm, PLC experience and superior representation. There are a number of adverse symptoms that may point to dental malpractice. If you have any questions about your condition or are concerned about your dental work, contact us to evaluate your possible claim. Mr. Gittleman's expertise can help determine the viability of your case and which approach will be most successful to obtain compensation. Are you in severe pain? Are you being treated for periodontal disease or oral cancer that could have been prevented? Did your root canal, crown or veneer treatment fail? Dental malpractice lawyer Robert Gittleman will work to ensure the dentist responsible for your suffering will answer for his or her negligence. As one of Michigan's most acclaimed attorneys, Mr. Gittleman has the education, experience, and determination to deliver justice. You don't deserve to suffer. 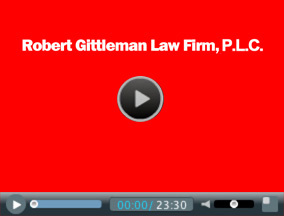 Contact Robert Gittleman Law Firm, PLC to see how we can help you.